Hello my lovelies! Today's Monday Blues post comes even later than usual because I'm having some issues with my computer and I've been trying to fix them ever since I came back from work. Other than that, today was a pretty good day. It's really cold outside but at least it's sunny. 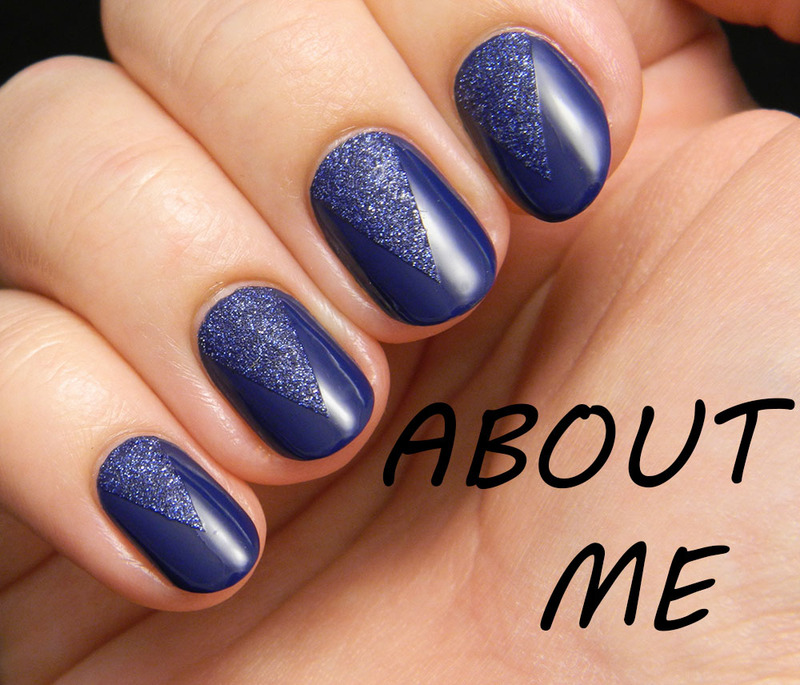 The polish I'm showing you today is perfect for the season and it's right up my alley. Don't be fooled by its name. I think there is a lot of blue in this one and nobody can deny that. Take a look! First off, let me state that this brand is totally new to me. I have a certain collector vibe to my nail polish passion so I'm always happy when I get to add a new brand to my collection. Not to mention getting to try out and review something that few people have heard of. I knew about this brand but I had no idea they made nail polish. A friend brought this for me as a gift from London and I must admit that she knows me very well. I love blue and I love grey and this is the perfect combination between the two. It's one of those colors that looks like the cloudy autumn sky. You can't really tell if it's a dusty light blue or a blue toned grey. Lovely! The formula of this polish was surprisingly good. It was nice and opaque, so two coats were enough to make it look perfect. The brush was also good, not too wide and with a clean cut. It dried really fast to a shiny finish. Of course I had to add a coat of Seche Vite to make it last longer and I also added some square black rhinestones to make it even more elegant. 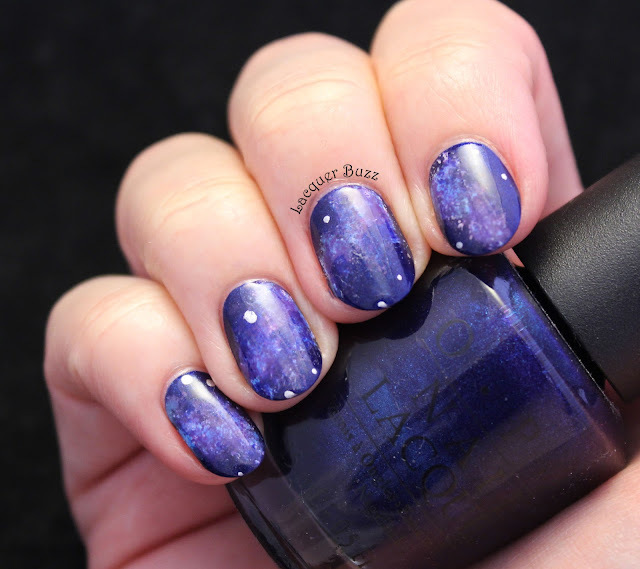 I wore this manicure for several days because I loved it and because it lasted really well. All in all I'm very happy with it. 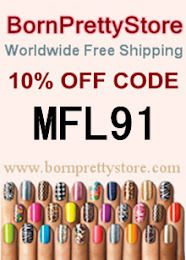 I would love to try more nail polishes from this brand if they were available where I live. 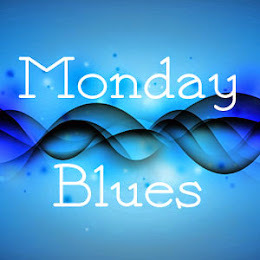 In the meantime make sure you check out the other Monday Blues of this month by clicking the links below. Love how elegant it is - just enough color to not quite be so quiet, but still has 'that vibe', very pretty. Nice blue grey this color is! Nu stiam de acest brand, dar aceasta nuanta este ca si facuta pentru tine :)) Ce bine cand prietenii te cunosc atat de bine!